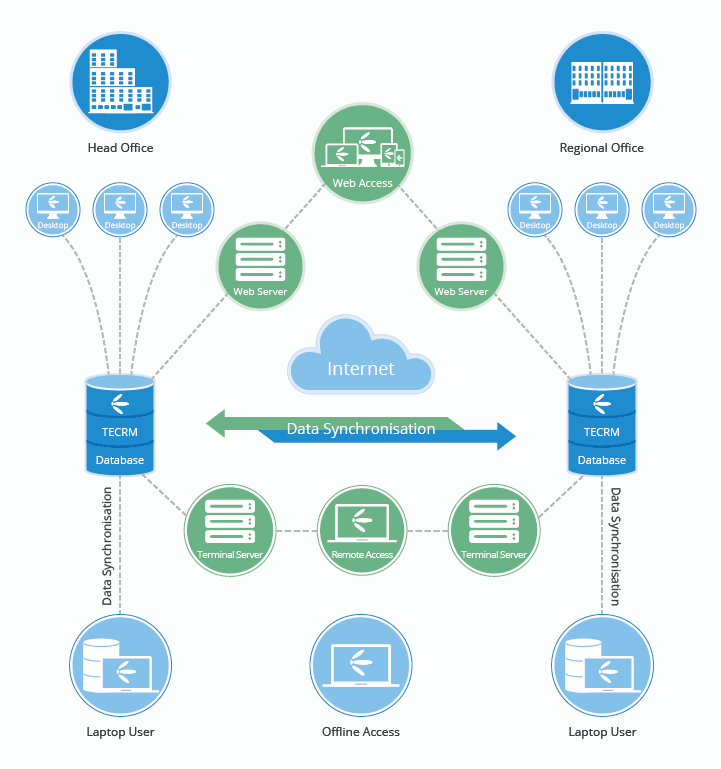 Local Installation – The database is installed on your server with the CRM software programs connecting directly to it to access the data. Replication – A local database is installed on laptop computers or in remote locations. Using SQL Server Synchronization, each user accesses a local copy of the data. Any changes are subsequently synchronized back to the master database. Web Access – The web-based version of CRM will access the master database allowing remote use of many CRM functions. 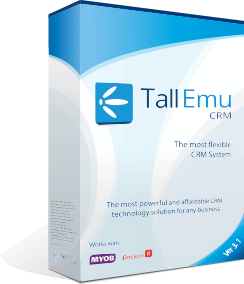 Terminal Services (Remote Desktop) – Tall Emu CRM may easily be accessed by Remote Desktop / Terminal Services. Mobile CRM App – Get all the important CRM data on your smartphone for viewing, updating or adding of company/contract data… we are expending the capabilities all the time. These methods may be combined, if required to suit the needs of your business.